We arrived safely after a good flight, in Pudong airport at 8.45am. We were taken by coach to the Radisson Blu hotel in Nanjing Street, opposite the People’s Square. After a quick shower and a change, we headed off on a sightseeing adventure. First up was the Bund area across the river with breathtaking views of the many skyscrapers. Then we headed along the riverside promenade before turning into the Old Town. We grabbed lunch from the Bazaar area and an equivalent Chinese food hall before browsing the many gift shops in the Bazaar area and surrounding streets. A magnum helped us make our way back to the hotel for a quick R&R before welcome drinks at 6pm. We finished the evening with a celebratory cocktail from the bar at the top of the hotel, boasting incredible views across the city at night. We enjoyed a long lie in, yes! After a late leisurely breakfast, we met with our host for the next week in school for a day of sightseeing. What lovely hosts they were! Yan and Ho collected us from the hotel and took us to the Oriental TV tower, the tallest building in Shanghai. We went as high up as you are permitted to go, to the second ball. The lift up was so fast your ears pop! The views from the top, despite the rain and misty weather, were awesome. It is amazing to see how vast Shanghai is! It was an early start with a workshop at the hotel and we were all concerned when “variation” was announced as the mornings topic! We needn’t have been as it was a very useful morning. Debbie summarised Dr Gu’s lecture on variation to draw out the key features of both Conceptual and Procedural variation. We were then taught a lesson on subtraction using decomposition by one of the Shanghai teachers. After coffee, we held a TRG and drew out the features of a mastery lesson as well as specifically identifying when and where Conceptual and procedural variation. Ration had been used and the impact on the learning. We spent the afternoon at Yu gardens, despite the rain which were beautiful and provided calm and peace after concentrating at the morning workshop. Back to the hotel for a scrumptious afternoon tea in the revolving restaurant. Then time for some exercise in the pool and some much needed relaxation with a full body massage! Possibly the best either of us have ever had! We rounded off the day with snacks and drinks in the bar but ended up doing more socialising than working and drinking a bit more than we had planned! After being taught a basic dance step by a child each, we met with the Maths workgroup to discuss the grade 2 lesson we saw this morning and finally we started to work on our lesson design for the lesson we will teach to a Grade 2 class tomorrow morning. Back at the hotel Katy and I continued to work on our lesson design and PPT together after which we were exhausted! So, it was a quick meal at the buffet and bed for us! So far this year, we have had the pleasure of welcoming three groups of teachers from across Surrey to Goldsworth to observe the Maths – No Problem! textbooks in open lessons. We start the morning with a discussion about the textbooks, looking at the positives and negatives and the practicalities of introducing them into classes. It has proved exceedingly interesting to explore each context, thinking about how to go about bringing them in. Goldsworth’s model is shared to help gain an idea of one potential way to do this. Next, comes the exciting part – seeing it in practice! The children and teacher has loved welcoming all the teachers into school and showing off their learning! We hope this enables our visitors get a real flavour for the textbooks and how they have worked for us. Once the lesson has finished, we’ve been lucky enough to talk with the teacher to get her opinion on both the lesson and the impact of Maths – No Problem! on the children’s learning. It has been an amazingly positive process so far and we look forward to welcoming more people over the rest of the year! Click here to book on Open Lessons. News from the Shanghai Exchange! I am writing to you from China’s largest city, home to more than 24 million people, Shanghai. The weather here is wet and cold (10oC) today – much like home – but it is also changeable too. Tomorrow it may be warm and sunny! The city is located on China’s central coast, making seafood especially popular here. At eight hours ahead, it is now bed-time in Shanghai but you will just be sitting down to lunch. We arrived on Sunday 6th November, after a 15 hour flight, including an unscheduled landing in Beijing for 4 hours due to heavy fog in Shanghai. It was a long and tiring journey but one worth making: I have learnt a great deal already! I am here with 69 other teachers from the UK, representing our government, to learn more about how schools in Shanghai teach maths. For many years now, Shanghai has been globally recognised as the world’s leading jurisdiction in maths teaching. So we want to know more about what makes their lessons so fun and memorable. However, this is a two-way exchange. Shanghai teachers are also keen to learn about schools back in England, they are very interested in our Computing and PE lessons in particular. St Joseph’s is very lucky because we will be welcoming two teachers from Shanghai back to our school at the end of November. Miss Zhao (pronounced “J-oaw”) who will be teaching in Year 6 and Mr Jiang (pronounced “J-ong”) who will be working in Year 2. We are only of only 35 schools in the country to receive this great honour and I am very much looking forward to introducing them to you. On Monday we were officially welcomed to the city by some important men from the Education Ministry of China. They explained that children in China don’t start school until the age of seven, which is very different to England. They went on to describe how most primary schools in Shanghai have between 1-2 thousand pupils (very large by our standards). Interestingly, lessons in Shanghai tend to be 35 minutes long, which is short compared to ours, but children have eight separate lessons every day. The Minister of State for Education also explained that teaching is seen as a very noble/profound career choice. He said, “Teachers engineer the soul.” In response, the universities in Shanghai have departments dedicated to the “cultivation” of teaching pedagogy. It has been long established that lessons must be “meticulously crafted” in order to impart knowledge effectively, ensuring no misconception is left to chance. They are preempted and built into lesson structures. Therefore, teachers must not work in isolation but develop lessons very carefully in collaboration with their peers. Teachers here use carefully designed textbooks (nationally adopted) to support their learning journeys and ensure they only ever take small, considered steps when introducing new learning. Having such large schools allows teachers to share expertise and affords them time to focus on the tiniest aspect of a lesson’s design. One of the city’s recent policy changes was the introduction of the title, “Professor Teacher” which recognises those teachers who have made a significant contribution to the practice and philosophy of their colleagues. In China, teacher progression is marked by different teacher titles: Junior, Senior, Master and Professor. They are awarded these titles based on the number of hours of professional development undertaken and the number of teacher research groups contributed to. Successful teachers here are researchers, who observe and reflect on what makes learning successful. When discussing a lesson, there are no judgements or standards, groups of teachers (between 5 – 30 at one time) discuss the questions and activities used and which had the greatest impact on learning. There is no Ofsted equivalent and no lesson judgements! Teachers in Shanghai, even in primary school, teach only one subject. Miss Zhao and Mr Jiang are primary maths teachers. They teach 1 – 2 maths lessons each day and spend the rest of their time catching up with children who need more help, watching other teachers’ lessons and planning and preparing their wonderful activities for the next day. We also listened to a fascinating lecture from Professor Gu, lovingly known here as, “The Father of Maths Education” because he founded the idea of variation – over thirty years ago. Variation is a way of learning about maths by looking at one topic from lots of different perspectives – this helps children to master each topic before moving on to something more challenging. Professor Gu also explained that it isn’t about just one lesson, it is about a series of carefully crafted sessions that are taught in a coherent fashion. The series of sessions helps to build connections because tiny steps in learning give children more confidence and depth before they approach the most challenging part of the topic. E.g. When preparing for long division, children spend five or six sessions looking at how numbers can be partitioned and divided (the distributive law) in order to understand how the long division algorithm works. So 72 divided by 4 = (40 divided by 4) + (32 divided by 4). It did lead me to think that perhaps, unwittingly, we take much bigger steps in a series of lessons than we ought too. We need to be more knowledgeable about the tiny, deeper steps that contribute to understanding the larger objectives in our national curriculum. Teacher subject knowledge leads to more effective planning and preparation. I then stopped thinking to enjoy lunch. Aiju is a “small” primary school (with 1,100 students) that specialises in expressive arts i.e. music, dance and art. Parents send their children to this school if they want them to study these creative subjects and have the opportunity to participate in performance activities at a local and national level. The school building is vibrant and inspiring – with children’s artwork on display in the main lobby. There are forty children in each class and they all sit at individual tables, arranged in pairs, facing the teacher. There is no carpet work in Shanghai. The children greet and bow to the teacher before starting the lesson – this sign of respect shows that children understand the status of the teacher and the need to pay careful attention to the following lesson. However, that doesn’t mean that lessons in Shanghai are quiet; far from it! I observed one lesson about classifying a collection of shapes. It was taught to Grade 1 (our Year 3). The children were talking about and moving the shapes around – discussing and debating with their partner the best way to categorise the shapes: by shape, by colour or by size. The teacher then asked children to share and compare their ideas before teaching them how to classify groups of objects in different ways at the same time, like in my diagrams. Using the diagrams, children explored the different ways shapes can be grouped. They used their new understanding about the layout of groups to identify missing shapes in the teacher’s “Who’s missing?” game. Although I began the lesson by wondering how this could possibly be classed as geometry, there was no discussion about sides and corners, it was later explained to me that this is in fact a first look at statistics! Children know what squares, triangles and circles are, they were looking at how to represent classification and how to show different categories in charts and diagrams. It struck me that the array diagram is intrinsically linked to the skill of reading axes on graphs and recognising two variables. It was remarkably subtle but will help children much later on to read more complex charts and graphs if they begin representing simple categories in this way now. The classroom we watched the lesson in is three times the size of a standard classroom and two thirds is given over to seating for teacher observers! – The science of teaching is alive in Shanghai. Another inspiring maths lesson today. Grade 3 (our Year 5) had been preparing for long division this week and Miss Lee, their teacher, wanted us to see the first written method lesson because it is a very tricky one to teach. I was pleased that she chose it because it is one skill that many children in England find challenging too. Again, I was astounded by the importance of knowing the steps that come before a procedure deeply myself. Without a profound knowledge of how to build up to an efficient method, we cannot help children to understand the meaning of the calculation they are doing. If it is treated merely as a procedure, some children can quickly grasp it but not understand it whilst others struggle to remember all the steps in the correct order. However, by spending quality time preparing the “anchoring knowledge” beforehand, the procedure is easier to remember because children understand what it means, and they are more likely to be accurate because they appreciate the value of the digits used to make the procedure efficient. A very eye-opening experience! A couple of important observations: in Shanghai, all teachers and all students write the written method in exactly the same way, even down the the nuances of how they draw the symbol. It is this strength of coherence that makes the whole system so effective and ensures that misconceptions and miscommunications are less likely to occur in the first instance. It was also refreshing to see Miss Lee invite us to the hardest lesson to teach – she wanted our help identifying exactly which questions and activities were effective. She wanted to unpick the examples with us to see if there was a better way of presenting and explaining them to the children. We did not judge the lesson; we discussed the learning. Next, Miss Daisy shared with children this image and ask them to write down everything this tells us about multiplication. Why not try it yourself? Have a think about them yourself. Did you recognise these links? Notice that Miss Daisy wasn’t interested in the answer to the calculation, she wanted to know what other links and connections could be made from these questions. I was struck by how colourful and personal they were. We often have a preconceived idea of education in Asian jurisdictions as being rote and involving endless practice. This is not the case here in Shanghai. Children are allowed to make their work bright and bold, in order to emphasise meaning and help them remember important facts. Surprisingly, Miss Zhao praised homeworks that were concise. She did not want endless details and examples about the laws of the operations, she liked the homeworks that chose the one best example and the most precise notes. She told some children that they were doing too much! Next, she challenged children to apply their understanding of these laws to very complex calculations. She did not want to know the answers to the calculations, she wanted children to show how the laws could make the calculations easier to answer. A brief reflection: shocking to see how effective a truly deep appreciation of maths can be. Children in China don’t start school until the age of 7 (our Year 3). They begin by learning numbers 0 – 10 and counting. So lessons in Grades 1, 2 and 3 often appear far simpler than ours. However, because the maths curriculum is so carefully designed, children are constantly making links and connections in everything they do, so by Grade 4 (Year 6) all children are working confidently with more complex ideas and their understanding of maths is deeper. They quickly then overtake our curriculum and can start to answer very complex puzzles independently by age 12 – puzzles more akin to GCSE work in our country. Our afternoon involved a traditional Chinese painting lesson – using watered ink on blotting paper to create different tones and effects. The theme was hedgehogs! We also enjoyed learning to use the four traditional Chinese string instruments: the erhu, the pipa. the guzheng and the dulcimer. The sounds of these instruments is very soothing and peaceful – the strings make a harmonious sound that is easy to listen to. Our last day at Aiju Primary school – very sad to leave having made such good friends with Miss Zhao and Miss Daisy. They invited us to watch the morning exercise routine. This is an activity that the children do every single morning: 8:15 – 8:30am. It was amazing to see all the children moving in unison as they followed the routine. 1,100 children all exercising together on a single playground! However, it wasn’t led by a teacher, it was lead by the children themselves. A very impressive sight! Our first lesson today was with Grade 1. They were learning about the relationships between parts and wholes, using addition and subtraction sentences to express the different things we know about how three numbers can work together. Miss Daisy then used variation to help children understand this relationship more deeply – testing them to see if they knew when the relationship wasn’t being expressed correctly and using missing digit problems to encourage children to reason about what might be missing and why. Finally, she challenged children with a problem to see if they could pull out of a selection of numbers all the relationships that existed within them. Children had good fun finding, expressing and discussing these relationships. Why not have a go at finding all the number sentences within them too? You might be surprised to hear that lessons here are very lively – children have many opportunities to talk about and debate their understanding. Very often children will lead their peers in the role of the “Little Teacher” and when a child says something worthy of praise, all the children clap and cheer their understanding. They celebrate their learning. It is a truly lovely and wholesome atmosphere. A wonderful day’s sightseeing in the city. We were kindly hosted by our Shanghai colleagues who were eager to show off the city’s culture and history. Starting at the newly refurbished Natural History Museum, we made our way through thousands of years of evolution as we examined how livings things have changed in our world since the dawn of time itself. Moving across the city, we stopped of at a Buddhist Temple to learn more about the religion and culture of the Chinese people. Buddhism is the most popular religion in China; some people describe it as a way of life, rather than a religion. At it’s heart, Buddhism recognises that in order to live a happy and prosperous life, one needs to learn how to be content and peaceful in your own life first. The temple itself is a stunningly beautiful yet simple building – a peaceful haven away from the hustle and bustle of the city. Finally, as day turned to night, we enjoyed a river cruise before sampling some of the most unusual and mouth-watering delicacies that Shanghai has to offer. Deep fried bean curd being a particular favourite with the locals! Our first morning at Xiangyang Primary school. Mr Jiang took us on a tour of the school, which is a bright, colourful building. There is a Duplo Wall for children to play with and be creative at break times and they have special classrooms for music, art and science. The outside of the building is decorated in an extensive mosaic that the children themselves designed many years ago. Xiangyang (pronounced “Shung-yang”) is a very large primary school with over 1,800 students and eight classes in each year group! Their football teams are famous in the city as the current champions and everyone is very proud of them. Any child who does not work hard and complete their homework is not allowed to represent the school at football! You will be fascinated to learn that children in Shanghai run down the corridors and play in the stairwells. Their free time is their own and they are allowed to roam the school as they wish. They have eight 35 minute lessons each day and these are split up by 8-10mins break between them plus one hour for lunch. Children have a meal delivered to their classroom and they are expected to eat and clean up after themselves. They do not have a strict uniform policy and teachers themselves dress very informally. It is believed that you must be comfortable in order to learn (and teach) well. All classrooms in all schools have a very similar standard of equipment: some form of projection screen, a top of the range visualiser, PPT is the preferred software for most teachers and there is abundant white/blackboard space. The set-up in almost every classroom in the country is identical! We were treated to a Grade 5 lesson by Miss Anne today. She is an experienced teacher with two teenage daughters. I was asking her about how maternity leave works in Shanghai… She explained that most mothers in the city have to got back to work: it is a very expensive place to live. Teachers take six months off work and, when they return, grandparents take on the role of the child’s parent during the day. This can cause all kinds of tensions at home but it is generally accepted as the norm. However, in order to support mothers back to work, the Government allows flexible working times for women who return. For the first year after returning to work, women are entitled to a later start and earlier finish than their colleagues. This is seen as important, especially for mothers who wish to continue breastfeeding their young child. After lunch, we joined Grade 1 for an art lesson – creating symmetrical dragon flies using folding and cutting skills. They left me some of their work, to share with you back home, as a gift. Everyone here is extremely kind and welcoming; they are fantastic hosts! We have continued to observe and be inspired by some fantastic maths teaching this week. In this Grade 1 lesson, children were looking at addition by bridging ten. I was amazed at how clearly the teacher helped children to recognise the need to use bonds to ten to help find the solution. Children are very good at recognising the value of numbers to ten here – just looking through their textbook it is clear that the very first thing they do in school is learn about the value of number. By recognising that, for example, five is the whole and the whole is made from 5 + 0, 4 +1 and 3 + 2 etc, children can use their prior learning to answer questions like 9 + 5 with ease. The teachers here use a selection of carefully crafted diagrams and number sentences to help children see how to break the smaller number into parts and then annotate their calculations to help demonstrate their thinking. Once they have understood the concept deeply, they are ready to answer more challenging and complex questions with ease. Without doubt, well thought out textbooks are used consistently here to ensure that every child receives exposure to the most valuable questions and to help every teacher to recognise the tiny steps that are needed to build up to a more complex calculation. I have purchased some while out here (they’re only £1 each!) so that you can see what I mean. Stage 1: Quick rehearsal of basic number facts (usual child-led) before the lesson begins – it’s used as a kind of transition/settling activity. Stage 2: Review a mathematical concept that children already know deeply – build their confidence and set the baseline by ensuring that all children are starting from the same point. Stage 3: Give children a feeling of the new concept (which is related to stage 2 but take the children a step further). Allow them to discuss and solve the problem in their own way, without explicitly teaching them anything yet. Stage 4: Draw together the children’s observations and solutions to teach them and generalise about the new learning. Giving them further examples to help make links. Stage 5: Use carefully prepared variation questions to support children in making the generalised principle stronger and take it deeper still. Stage 6: Summarise the understanding gained by reviewing and marking the questions answered. Stage 7: Take a break. 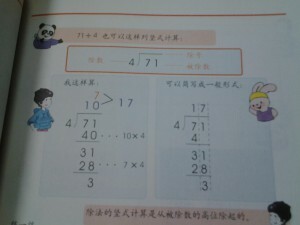 Stage 8: Rehearse the skill again to consolidate it, as a homework task. What a remarkable couple of weeks! With mixed feelings, it’s time to return home. Following the huge success of our Primary Mastery Specialist Teacher Programme, the Maths Hubs are now looking to expand this across to the Secondary phase. In 2016-17, there will be a National Collaborative Project looking to develop a Secondary Mastery Specialist programme following a similar style to our Cohort 2 Primary Specialists. Every Maths Hub is now looking for between 1 and 4 teachers from different schools to participate in the central Secondary Mastery Specialist development programme. They will receive centralised training from the NCETM, and spend time developing Teaching for Mastery in their own school working with colleagues. During the latter part of the year, the Mastery Specialist teachers will also work with teachers from other schools and begin to set up Teacher Research Groups (TRGs). Nominated teachers will be expected to have support from their department and a member of SLT. There will be funding for an equivalent of 10.5 days release time in Year 1, and a commitment to continue the programme in Year 2. Further information and the application document can be found here. Schools are asked to send applications directly to: mathshub@sjb.surrey.sch.uk, and copying in the NCETM, by 14 October 2016.